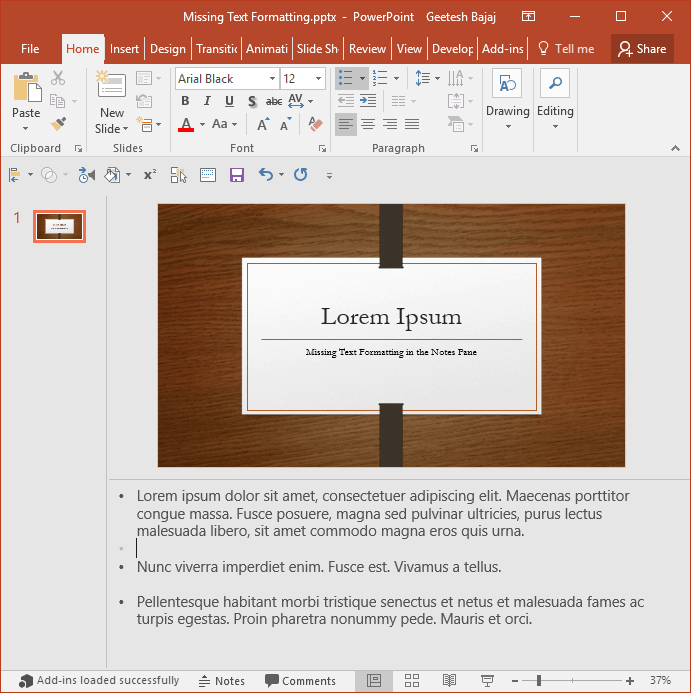 Bring back the Show Text Formatting option in PowerPoint, and see font formatting within the Notes Pane easily with one click. 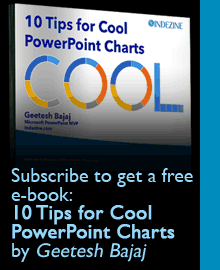 Did you select some text in the Notes Pane of PowerPoint, and change the font? Or perhaps the font size? Or you added a bulleted list? The problem is that nothing except the bulleted list shows up! All you see is plain text, as you can see in Figure 1, below. Why? Is it not possible to see formatting in the Notes Pane? The solution is easy, but not obvious. Right-click anywhere on the Ribbon or your Quick Access Toolbar, and choose the Customize Quick Access Toolbar… option, as shown in Figure 2. This brings up the PowerPoint Options dialog box that you see in Figure 3, below. In the Choose commands from dropdown list, choose All Commands, as shown highlighted in red. Then select the Show Text Formatting option, highlighted in blue. Next, click the Add button, highlighted in green. Finally, click the OK button, highlighted in orange. You will now see the Show Text Formatting button in your Quick Access Toolbar, as shown highlighted in red within Figure 4. Click the Show Text Formatting button, and you will see most text formatting you apply within the Notes Pane. Why did we say “most,” rather than “all?” That’s because the Notes Pane shows bold, italics, underlines, superscripts/subscripts, character spacing, and font sizes, but it does not support the font color attribute.